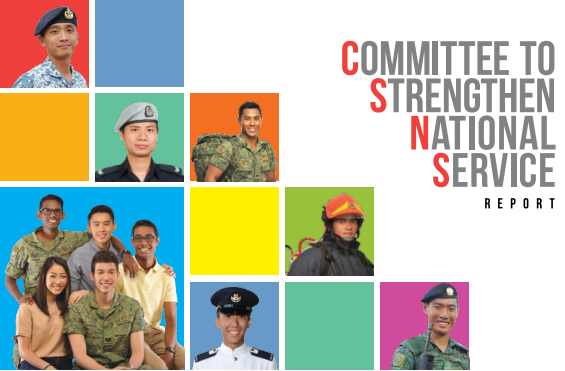 Screenshot of the CSNS report. Three years after I completed my National Service (NS), and right after I had returned from exchange in Helsinki, Finland, I had the chance to think more coherently about my own experience (after years of writing about NS from a policy perspective): saying no to command school, ending up in reconnaissance, and learning to be a little more mature through different episodes. I don’t think I could’ve asked for more. Also relevant is “Marching To A New Beat“, when I wrote about the final report by the Committee to Strengthen NS. For a long time I was frustrated. Tired. Insecure. I was immature, and treated some of my peers poorly. I became small-minded, and fretted over every injustice. I did things I should not have done, said stuff I should not have said, but somehow became a better person. Physically… That I was the only one in my junior college class to go through the Physical Training Phase (if you did badly for the final fitness tests) means I was behind the curve from the get-go. Basic Military Training was memorable with the bunkmates, and manageable with the progressive training. Everyone had a good laugh when the officer announced “only one Apache recruit for the recce selection interview: 2202”. I was a bag of nerves. Training to be a reconnaissance trooper was just painful. Even more agonising in my physical condition. For half a year we had the field camps, the fast and route marches, the navigation exercises and the long-walks… Too much la. My first four-kilometre full-load fast march was a nightmare. Had to drag my sorry self and the 30-kilogram ALICE pack back to battalion line. Damn paiseh. When we finally donned the jungle hat in Taiwan it was probably more relief than a sense of satisfaction, that training intensity was going to drop.